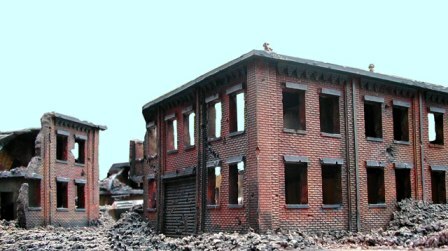 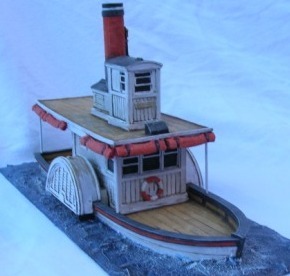 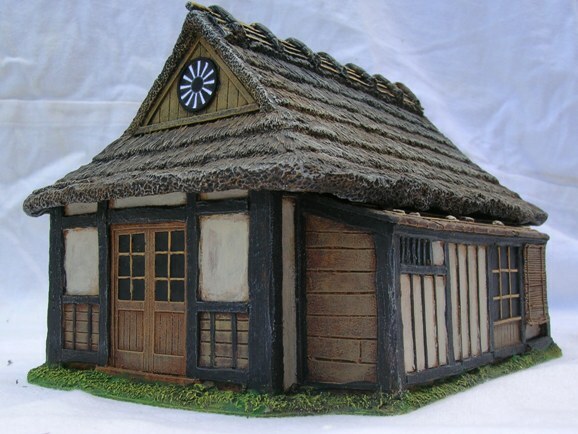 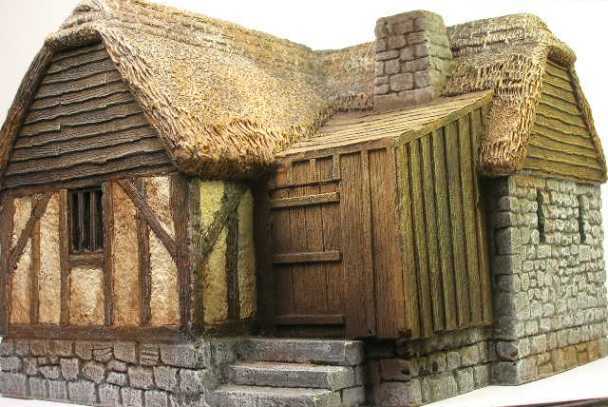 Painting commercially available buildings and models is a very good way of spreading out your budget. 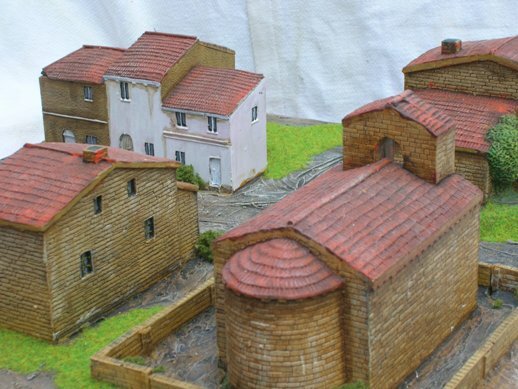 If you want a lot of regular 'fill in' buildings let me paint them and then commission one or two special one offs that bring your table to life. 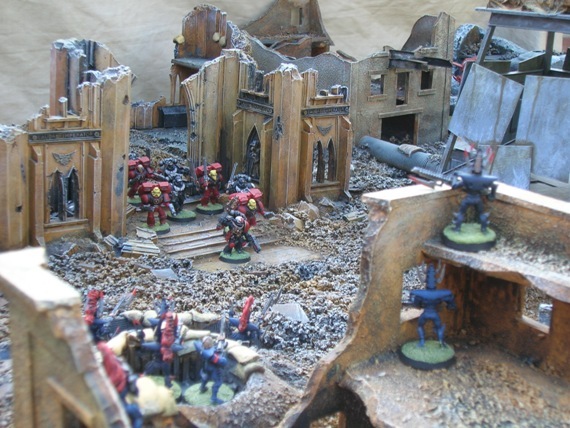 I use the same painting techniques on the resin models as I do on my scratch built pieces so they blend together very well. 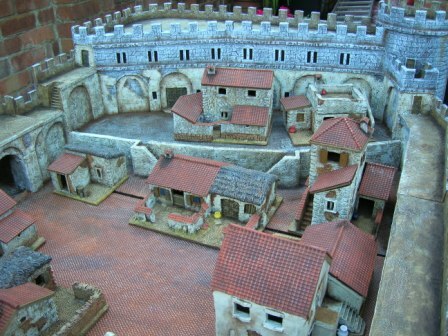 This walled town is so eye catching because of the scratch built wall but the resin buildings inside finish it off beautifully (all from Grand Manner). 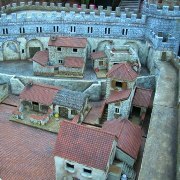 I use the same types of paint, the same washes and dry brush techniques and the same eye to detail as on my scratch built commissions; you can see how well they fit together.If I had made all the houses then it would have added another 40% on to the cost but because you have the 'wow' factor with the city walls there is no need to spend that extra money on one off houses. 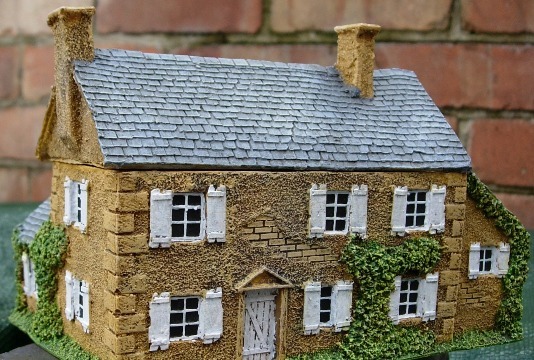 I do lots of one off paint jobs where only painting buildings are involved.Commissions come for just a couple of buildings at one end of the scale right up to over 20 at the other end- it doesn't matter- I am happy to do them all. 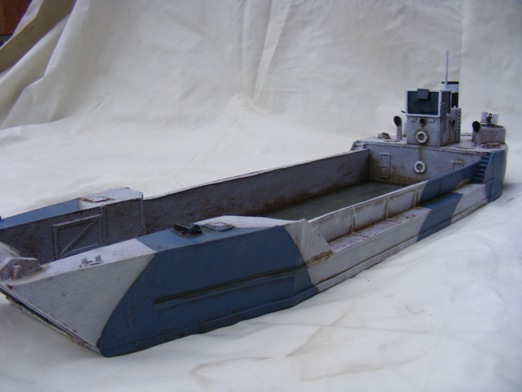 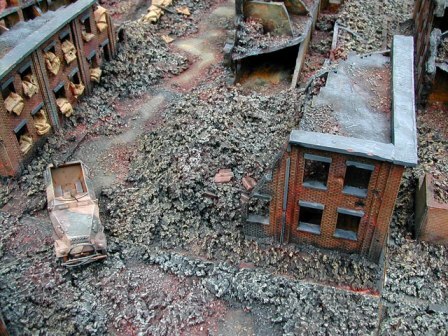 I paint in any scale and I have painted models from numerous companies so I am familiar with most manufacturers. 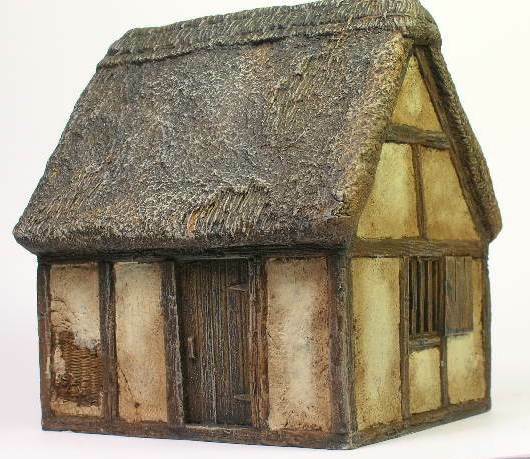 More details of how to order and prices on the painted resin page. 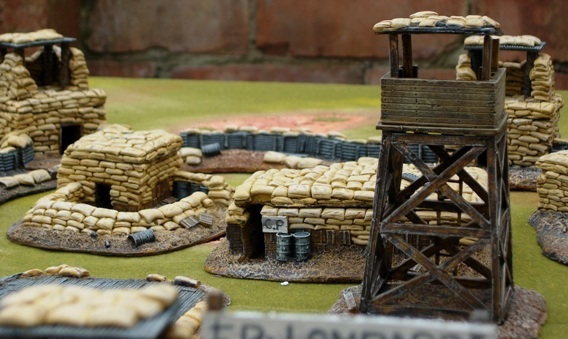 I also use resin models to model them into bases rather than loose or use them to enhance a scratch built piece. 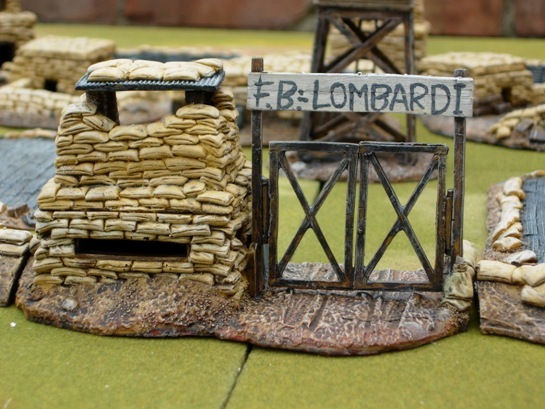 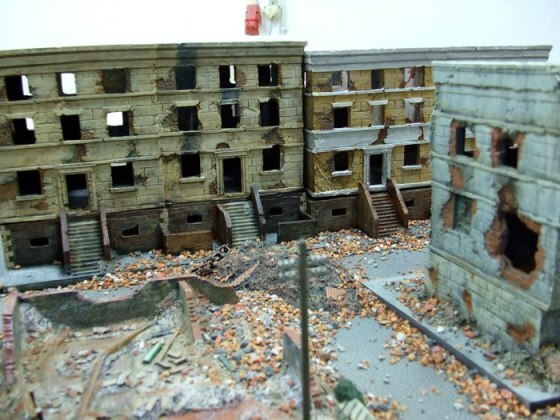 The ruined photo is of a flat resin model and I added floors and the odd sand bag and then modeled them into a Stalingrad table. 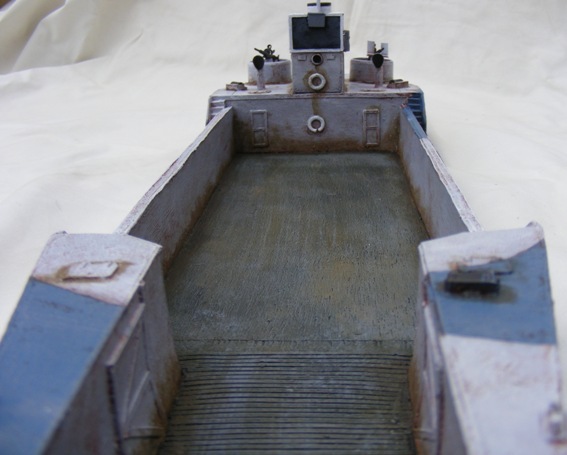 It was very effective to reduce the overall cost of the model. 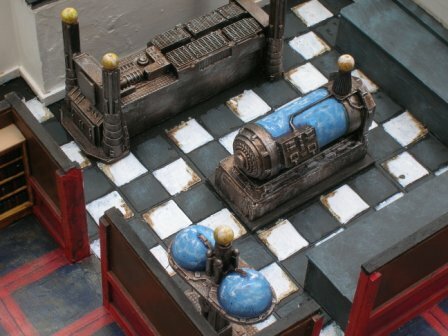 The 'mad scientists' lair was scratch built but I found resin science equipment that fitted the theme beautifully and was able to add the finishing touch to his house!